Two kids’ workshops on making a fairy garden as well as a display of kids’ fairy and gnome houses will be highlights of the Fairy and Gnome Festival to be held from 10 a.m. to 3 p.m. Saturday, May 9 at the Buffalo and Erie County Botanical Gardens, 2655 South Park Ave., Buffalo. The festival is included with admission. Activities for children include a special scavenger hunt, story time and nature walks. If you wear a costume, you get $1 off admission. The price is $9 for adults, $8 for seniors and students ages 13 and older, $5 for children ages 3-12, free for Botanical Gardens members and children under 3. The entries in the Fairy and Gnome House Contest will be displayed and visitors can vote on their favorite. If you want to enter the contest, you must hurry. Tomorrow, Wednesday, April 15 is the deadline for registration forms. The houses are due by April 29. Individuals, families and groups can enter, and it is free to enter the contest. See contest details here. For more information, call 827-1584, ext. 291 or email jbojar@buffalogardens.com. Winners will be chosen and prizes awarded at the festival. Entries will be on display May 9-17. The Kids Spring Fairy Garden Workshop will take place at 9 a.m. and 3 p.m. Saturday, May 9. 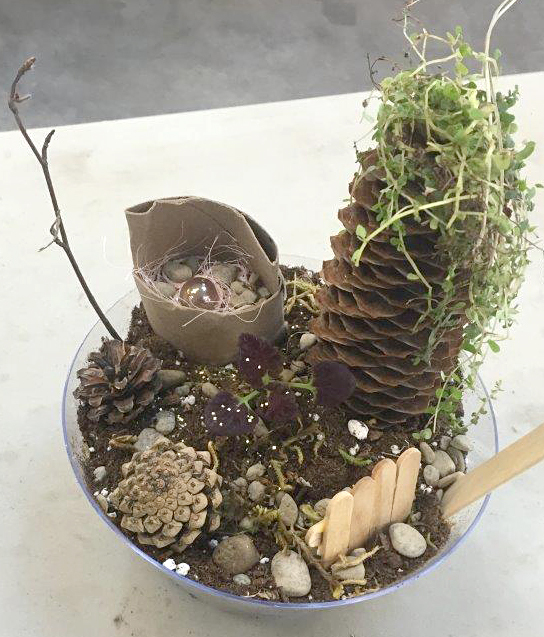 Kids ages 4-12 can make their own miniature container garden for fairies or gnomes using found and natural materials to create acorn dishes, leaf fences, seed mailboxes and other items fueled by their imagination. Containers, soil and plants are included in the workshop price. The workshop is $15 for Botanical Gardens members and $20 for non-members. Add on pre-made twig furniture for $5 per two pieces. Pre-registration is required because space is limited. Register online. Fun for the kids especially.